Matthew Wheeler is one of our 2017 ASPN – Advanced Student Project Network residents. The ASPN program was established to offer exceptionally talented students enrolled in undergraduate programs an opportunity to come work at the Clay Center with a group of dedicated peers in order to expand and invest in their studio practice. Matthew comes to us from Arizona State University. Growing up in the bay area and watching the fog slowly pass through the San Francisco cityscape has been inspirational for my work. This confluence of the man made structure and natural processes are two contrasting qualities I want to impart onto my vessels. This juxtaposition of fluidity and structure allows the viewer to see something familiar as well as something foreign. 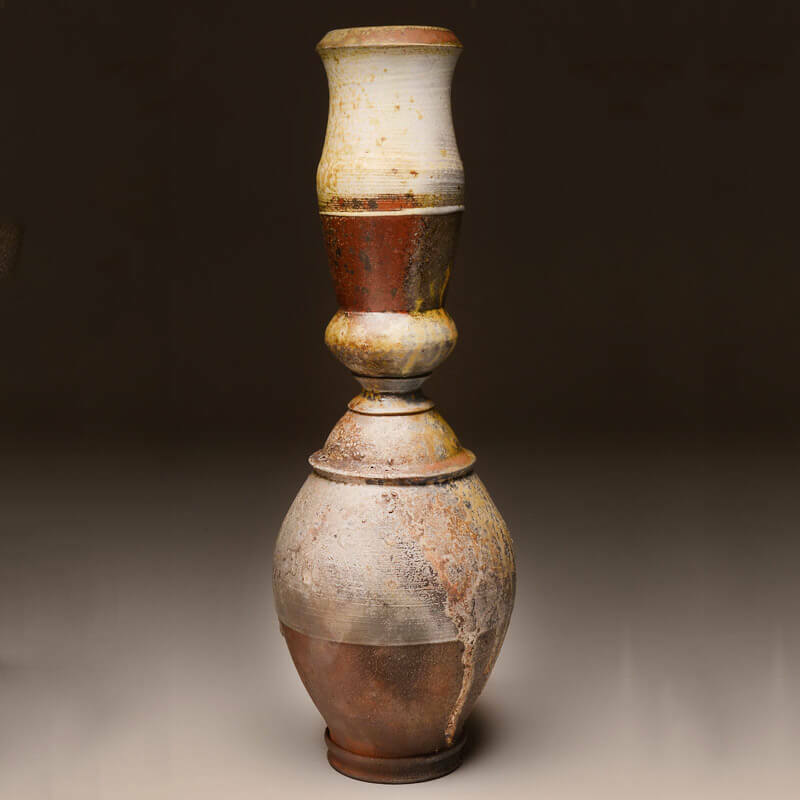 The complexity of wood firing and its varied results lends itself to the aesthetic I desire.